More than ever before people are concerned with the quality of the food they eat. Pesticides, antibiotics, and hormone injections are frequently added to crops and cattle, creating many issues and worries in health minded individuals. Therefore, organic food was developed to ensure that people could trust that the food they were eating was grown under the most healthful and natural conditions. Organic food isn’t so much a term that describes a particular type of food, it is a description of the processes used to grow and manufacture food. Buying organic food will increase your overall quality of health, your body’s vitamin and mineral content, and build a stronger immune system. Your quality of health will definitely increase by consuming organic food because these healthier whole foods will give your body better nutrition by nourishing all the functions of the body to optimum levels. In contrast, non-organic foods will have more chemicals, and the over processing and storage of these foods depletes its nutritional value. Your body will have difficulties digesting and absorbing these processed foods making you feel sluggish and low energy levels. “The risk of a diet without fruits and vegetables is greater to a person’s health than the risks posed by pesticide residues,” said Dr. Sonya Lunder, a senior research analyst for the non-profit Environmental Working Group, in Washington D.C. “However, for certain populations, most notably pregnant women, young children and the elderly, eating foods with high levels of synthetic pesticides could, over time, cause health problems.” This means that long term exposure to pesticides and chemicals that are put in the soil to grow food has been linked to serious health problems in children’s development such as ADHD, and birth defects in newborn babies. The consumption of organic foods has gone mainstream where even regular supermarkets have a section of organic produce and products for their consumers demand. According to a study published in 2011 by the Organic Trade Association (OTA) “seventy eight percent, more U.S. families that ever before, say they are choosing organic foods”. Any product labeled organic means that it has not been genetically modified (non GMO) or altered with radiation to prolong its shelf life. The absence of pesticides and fertilizers will boost the plant’s production of phytochemicals (vitamins and antioxidants) that strengthen their resistance to bugs and weeds. A report jointly produced by The Organic Center and professors from the University of Florida Department of Horticulture and Washington State University provides evidence that “organic foods contain, on average, 25 percent higher concentration of 11 nutrients than their conventional counterparts”. Eating these foods with increased vitamins and antioxidants will increase your body’s levels of vitamin and mineral content. A stronger immune system will result because eating organic foods will ingest lower levels of pesticide contamination and antibiotics that are given to plants and animals. “Many scientists are concerned about the antibiotics being given to most farm animals, many are the same antibiotics humans rely on and overuse of these drugs has already enabled bacteria to develop resistance to them, rendering them less effective in fighting infection”, says Chuck Benbrook, Ph.D., chief scientist at the Organic Center, a nonprofit research organization. Non-organic farms feed their animals antibiotics that in turn are ingested by us when we eat that food. This is a major health concern for many families today. Mass production of animals and plants only gives us low quality of food to eat. Next time you purchase meat consider buying healthier meat from grass fed cows that had no antibiotics. Many consumers today are still not very educated and don’t care much about the benefits of organic versus non-organic foods. Organic food consumption became available in supermarkets after so many young children were diagnosed with diabetes, obesity, and other health problems. As a result, many families have chosen to feed their children healthier organic foods. Considering the increase of awareness about healthier organic foods, it’s still not the majority of families that are not aware of the difference in the quality of organic foods, and many being low income families cannot afford the higher price of organic food. As more supermarkets continue to introduce these organic products to consumers, many will have an opportunity to learn about it and perhaps choose to buy quality instead of quantity of food. DeCostole, Jessica. “The Truth About Organic Foods”. Redbook online. 12/1/13. http://www.redbookmag.com/recipes-home/truth-about-organic-foods. Neporent, Liz. “Organics Safer, No More Nutritious Than Conventional Foods”. Good Morning America. ABC News. 9/3/12. 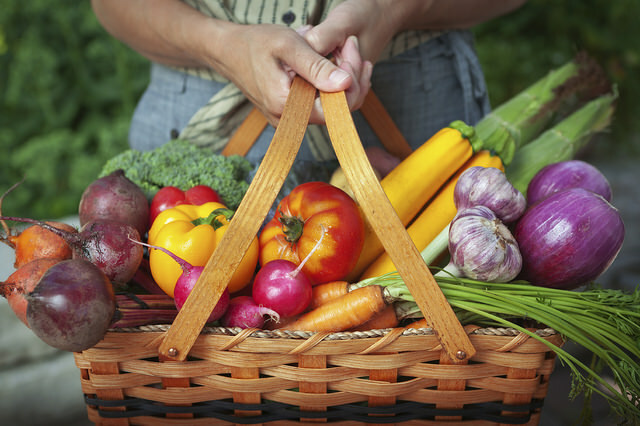 http://abcnews.go.com/Health/Diet/organic-food-cleaner-nutritious/story?id=17138185. 12/1/13.